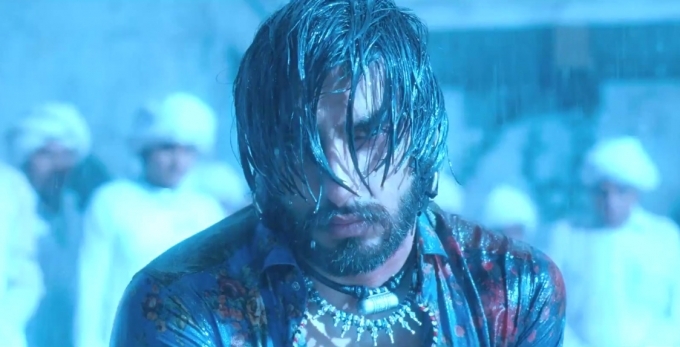 Sanjay Leela Bhansali, who has co-written, co-edited and directed Goliyon Ki Rasleela Ram-Leela besides composing the music has done an honest piece of work as always. We say honest because the movie is as random and as sturdy as it can get; his madness in the method of the movie is inexplicable. Teenage lovers, Ram and Leela. This is the movie still where Ram and Leela meet and share their first impromptu kiss. The movie is a story of this rowdy and flamboyant boy who meets this bold and beautiful girl – it is clearly a love at first sight for them! cliched!? hmm… moving on. The pair as a couple is very fathomable, they have added ‘color’ to the characters by being as flirtatious as any teenager would be today, they have also shown an element of maturity any teenager would show while they are in love and determination to fight the world that comes in their way. 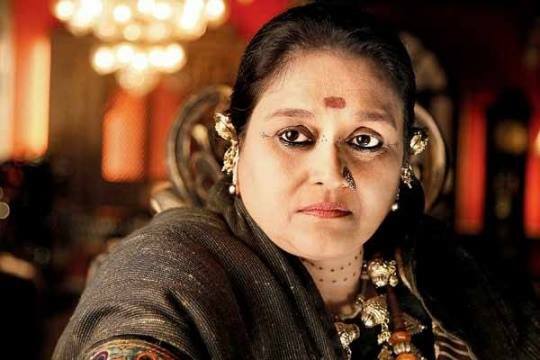 The highlight of the movie though is Supriya Pathak. She is exceptionally good with her dialogues and very convincing in her role as the lady don! She is so apt as a ruler that she will put any male villain to shame. Other characters have significant footage in the Movie. The star cast is performance pact and all of them have done a convincing and award winning acts. 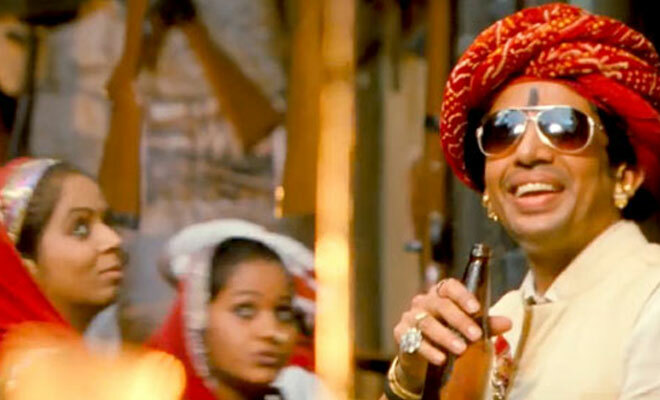 A special mention goes to Gulshan Devaiah who plays another negative character. Sharad Kelkar has a small yet impactful role. Richa Chadda also has done a good job as supporting actor. Since it is a SLB movie, don’t expect the sets to be larger than life! The sets are elaborate in design but not large. The sets are small but they add the necessary element in to the movie. If you observe the sets like other SLB movies do not play a focused role in every scene bu they simply add the touch of detail. Having said this, we didn’t think that the movie is like Romeo & Juliet nor is it inspired from here. If you decide to watch this movie, after keeping aside all the hearsay, do not go with reservations. Its definitely not a regular Rom-Com but it is definitely, neither, what you have heard. There are portions where Ranvir Singh has delivered ‘chumeshwari’ dialogues and scenes. At the same time Deepika Padukone has carved her skills too in scenes that you may not have seen her do before. One of the scenes where Ranvir Singh has stolen the show! Although the movie gets predictable, but hey arent most of them? If you are in the mood for foot tapping music (Some awesome beats created by SLB himself), lots of color and a romantic flick then Ram-Leela is what you should watch! An intense Action scene where Ram played by Ranvir Singh finally decides to call it quits and claim his love! One of the best scenes of the Movie – the climax!